It was a rainy day on a cold November morning and my phone was vibrating furiously next to my keyboard at my workplace. I ignored it at first. It bleeped again, announcing that the arriving news MUST be read. Glancing around to make sure no one could see me checking my Facebook, I read the message and my jaw dropped open. It seems a far flung country, halfway across the world, shrouded in keen mystery and wild nature has arrived in the middle of my grey office with an explosion of excitement and colour. 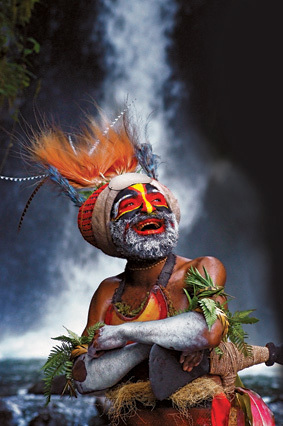 This is Papua New Guinea. The PNG Tourism UK Board had gleefully announced that I won the October True Traveller Blogging Competition across PNG UK Facebook and what’s more I won a Go Pro Hero 4 Silver Edition. It took all my energy not to start dancing on my swivel chair but I was soon distracted by another message. I would be a finalist to win a blogger ambassadorship and to go and visit Papua New Guinea! Now this I couldn’t believe and I simply had to duck into the bathroom to shout out a muffled scream. Grinning from ear to ear, I sat back down again and contacted the tourism board to say ‘Gude’ (‘Hello’ in Tok Pisin, a language in Papua New Guinea). The winner of the blogger ambassadorship would be announced in mid-December so I simply had a month to kill. But oh, what a month. I devoured all the information I could find out about Papua New Guinea. It’s harder than you think. There’s actually limited information available considering the small tourism infrastructure in the country. This had me bouncing. Perhaps I could go and become an authoritative person on tourism in Papua New Guinea? You won’t know what life will throw at you! But as much I tried to hoover up all the facts and figures possible, I would be stopped in my mission and gaze dreamingly at the wonderful and vibrant photos that showcased Papua New Guinea at its best. You see what I mean? It all felt rather magical considering the world we live in today. The globe is getting smaller, we can travel between destinations effortlessly, communications are getting superb. But not Papua New Guinea. It all felt like the country was untouched, left timeless to preserve its rather pretty and utterly beautiful country. You could even explore like the first adventurers recapturing that epic wanderlust. Memories are truly made there of the complex cultures that has withstood in the face of encroaching science. Basically, Papua New Guinea is a whole other world. So as the weather darkened in the wintry grey skies over the United Kingdom over the month, a little corner of my life was lit alive with the vivid natural bold colours of Papua New Guinea. I knew I would want to go to this gorgeous country in 2015. This isn’t going to be no mean feat. There’s actually 820 languages in Papua New Guinea and this is the highest number of languages in any country in the world. I’ll think I’ll stick to Tok Pisin. Animals are completely different here in PNG than that in the same environments in the rest of SE Asia – marsupials instead of monkeys and cassowaries instead of tapirs. Always expect the unexpected! Appealing to the adrenaline junkie in me, perhaps a climb on Mount Kombiu is just enough to satisfy me. I could climb Mount Tavurvur but as it’s one of the most active in the world, that would just be suicidal! The ultimate single foot path ever in the world hosting the best of coral reefs to be snorkelled and the graveyards of historic wartime sites between the Australians and the Japanese in WW2. This has become a pilgrimage for all Australians of any age. Seeing as I look like an Australian, this may be for me. 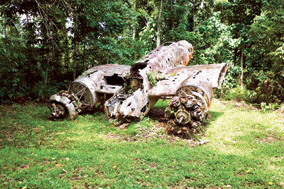 As one of PNG’s past-time, the country is home to some of the world’s scariest but thrilling air strips giving tourists an experience of their lives. Not for the faint-hearted but perhaps I could convince myself to land or take off at either Ononge or Fane. 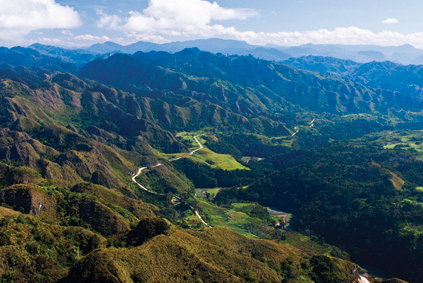 The forests in Papua New Guinea are typical of the ancient Gondwana Landmass. This has me extremely excited as I loved learning about tectonic plates when I was younger! A Rainbow of bold colours needs to inject my life with excitement and wanderlust. You can’t find any better than PNG to do the job for you. Remote Villages can be found along the long Sepik River showcasing PNG’s life at its very best. This is where Adventure really starts. Immersing into the tribal cultures are best found in the Highlands particularly in the Town of Tari. These endearing fishes are your perfect companion as you laze in the sparkling upland lake. 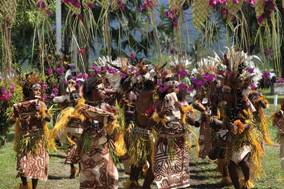 As the capital of PNG, Port Moresby is a melting pot of all cultures and tribes together giving a unique taste of life in this sprawling city. I could even check out their Port Moresby National Park. Botanical Gardens in the rest of the world showcases the most exotic flora from other parts of the world. It would be intriguing to see what PNG thinks is exotic! Let’s bring out the camera for this! Checking out this unique building styled with PNG motifs would have to be a big tick on my PNG travel checklist. Did you know that the world’s largest insect is housed here? It’s Queen Alexandra’s BirdWing. Famous shipwrecks, weird sea life, the odd shark or two, you’re guaranteed to see more marine life here than you would in the Caribbean. 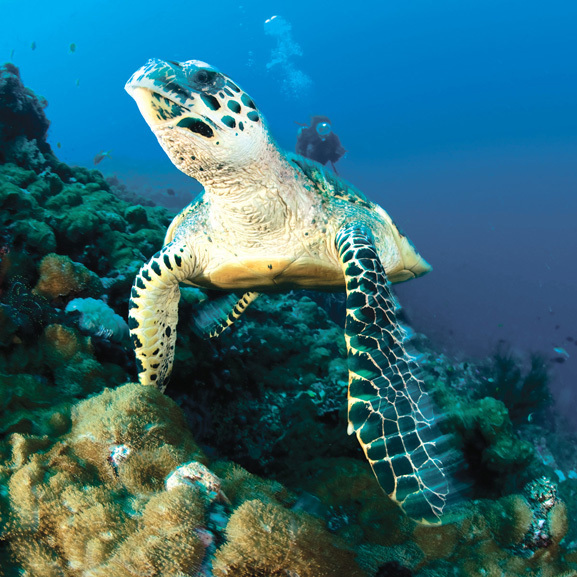 If I could see a turtle in my long snorkelling quest for one, my life would just be a little more complete. You can find most of the world’s Birds of Paradise in Papua New Guinea alone. Their feathered plumes are so exotic and colourful that the Huli tribe often use the feathers to decorate their head-dresses. Who wouldn’t? As a huge migration point for human and ecological history, it would be brilliant to see the Torres Strait up close and consider how the world it is like today. Known as the ‘Scandinavia of the Tropics.’ Surrounding by unblemished fjords and uncharted reefs, this is truly a wonderful place to explore. Checking out the variety of masks interpreted by different cultures and tribes on their views of human life would be thought-provoking and inspiring. The land that time forgot. I wouldn’t be surprised to see a dinosaur pop up there. Hopefully not my namesake, T-Rex! Well, I have travelled the world far and low for a fair few years now. Perhaps I’ll find a grounded wife in PNG… who knows! 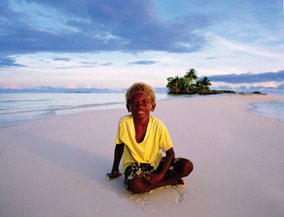 But The Trobriand Islands are nicknamed the Love Islands. If that isn’t fate, then what is? Simple as that. You would just be heading into the unknown and if that doesn’t excite you, then it does for me. Yes, yes, yes. Papua New Guinea has it all. And I hope to show you in 2015. So I’ll say good luck to my fellow finalists for the Blogger Ambassadorship. Whoever of us wins it, that blogger will definitely show us the amazingness that is Papua New Guinea. 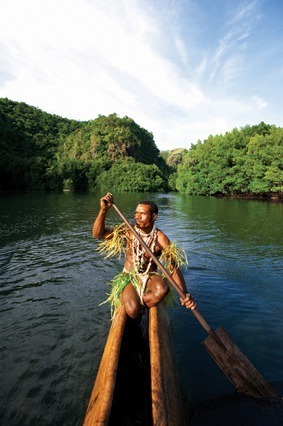 Have you been to Papua New Guinea? Share your experience in the comments below! *A Huge thanks to PNG Tourism UK for providing me with the pictures for this article.